A traffic collision can occur anytime, anywhere, or to anyone. 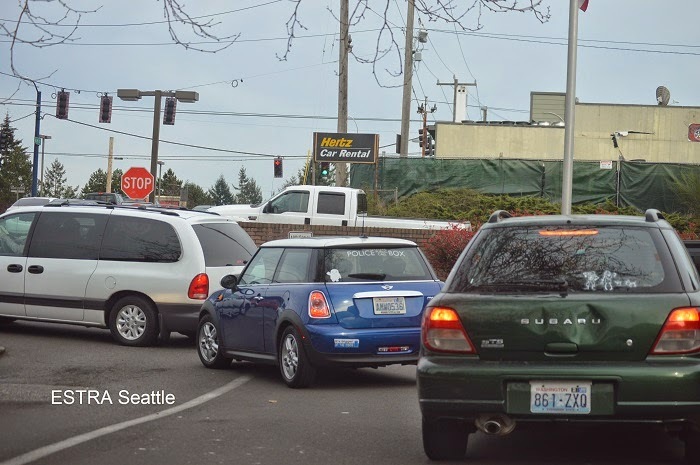 SEATTLE (ESTRA) - One way to gain insight on core values of a company is to review what they look for in an employee. How do they attract new talent? Do they spend more time talking about their organization, their employees, or their insurer? What is important to each organization? In my opinion, whatever is valued by an Auto Insurance Company will be highlighted by what is emphasized in the workplace. These core values will be reflected in the people they hire, such as Auto Insurance Adjusters, and their relationships with their clients. For example, it has been many years since I’ve interacted with the Allstate Company. From reviewing some of their current job descriptions online, I found their past dealings with accident claims followed their core values. That is, the importance of their clients. And, their attempts to assess car accident damage and resolve issues on behalf of their insured quickly and fairly. Although my dealings with Allstate involved small claims, and it was many years ago, from my perspective, the core values of how they resolved my claim was demonstrated in their current job descriptions for new talent. I have never dealt with Allstate regarding a substantial claim, therefore, I cannot comment on how they process those claims. But I was happy to be able to see the emphasis is place heavily on the needs of the client in their recruitment of new talent. Job Descriptions of Auto Insurance Adjusters may provide clues about corporate culture and how they may treat clients. As with most situations, the more information available about an Auto Insurance Company, the easier it will be in making a decision on a company. In addition to paying premiums along with filing a claim in if involved in a car accident. 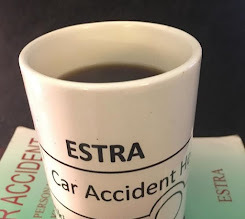 Upon review of several companies, Auto Insurance Adjuster’s Job Descriptions concentrated on merits of the organization, some on benefits of the job, and others that emphasized taking care of their clients. While in my opinion information regarding all three of these topics are important, from my perspective, the goals of a company determines how much emphasis is placed on a client’s needs which is restoration to a pre-accident state. Realize that most Auto Insurance Companies have automated systems which evaluate and estimate the value of a claim. Some Carriers lean on this assessment more than others. Yet, in most cases, initial contact after a car accident is with a Customer Service Employee that acts as an “intake interviewer” whom you share information regarding collision. If your case is a minor fender bender, Agent may direct you to a car repair location where they can evaluate the damage to your car and recommend a repair shop, if your car is drivable. If it is not drivable, they will send someone out to review it at the car’s location, and if part of your policy, request rental car for a week or two until repairs are completed in most cases. It is important to review your Auto Insurance Policy. In this way, you are aware of the assistance available and can request additional help if necessary. In most cases, when calling insurance company, they will ask whether you are in need of items within policy, but this is also your responsibility to know options. 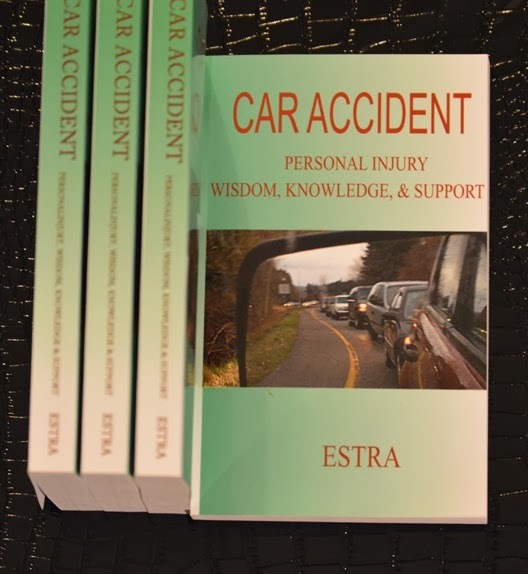 In fact, this is a great time to write this information in the back of my book, Car Accident by ESTRA, so information is available in advance. There is already enough to learn at the time of a traffic collision. The more information readily available, the less stress encountered. If car accident is a bit more serious, typically more options are available in most policies. And the conversation with Auto Insurance Company should still be only about the facts of your condition. If you are getting medical treatment, a decision must be made to use your PIP on auto insurance, or your health insurance. Pay attention to the cost of your claim. If your Insurance Company can get better deals without reducing the quality, it may be in your best behalf to let them negotiate an item. However, if their negotiation is done at your expense, you may want to consider all available options. It’s important to know what you want in car repairs, the medical services if necessary, wage replacement if off work for anytime, and the outcome of this claim. This is why it is important to realize what actions are necessary if involved in a traffic collision. Your conversations with an Auto Insurance Adjuster will be evaluated upon the knowledge you have, communication of current condition, expectations, and how much you know about your rights under current Auto Policy. As the cost of your claim increases and or length of time case extends, in most cases, the adjuster level will go from first to senior level. Have camera available and ready. If the Auto Insurance Adjuster you are talking with is your Auto Insurance Carrier, hopefully, they will be working on your behalf. However, this may depend on many factors. First, do both or all the people involved in collision have the same insurance carrier? Is cost of the claim viewed as more expensive than Auto Insurance Company is willing to pay out? What is the corporate culture of the company? And how knowledgeable and experienced is Adjuster on state laws and the claim process in general? In many states, Auto Insurance Adjusters are licensed. Therefore, depending on the perception and directives of their manager, in my opinion, they may be working on your behalf, or their own, or perhaps another individual involved in the claim. This is why is it so important to write down details of each conversation, their interest, and identifying direction they are interest in taking your claim. If you have not dealt with an Auto Insurance Adjuster, do not leave all the expectations of this claim to them, learn as much as possible about the process. This means learning how they should be helping you through this process. Pay attention to any cues from them about their opinion on claim. If you have concerns about their behavior, ask them about it. For example, if every time you are expecting a check from them it is late, or does not show up, ask them to account for these problems. Makes sure to stay focus on the question, and not be moved to another question. It is important to ascertain the behavior and actions of the Adjuster regarding you claim. If you find them lenient on the additional day or two on the rental car, or working to return you back to pre-accident condition, realize they are as eager to close this claim as you are to get on with your life. Remember, the reason for talking with an Adjuster is for help in getting back on track via car repairs, health restored, or assistance in learning to cope with a disability. This is a professional relationship. You have insurance in case some unexpected event happens that prevents or limits daily activities. The Adjuster’s goal is to help restore you to this point at the least cost. A level of satisfaction which meets the agreements in your Auto Policy, and reasonable expectations. This Adjuster should be there to assist you, but always acknowledge, they work for the insurance company and therefore their first priority is not you. Again, their first allegiance is to the company. You must always be your best advocate in this situation, even when an Adjuster is treating you with respect, dignity, and promptly managing you claim. From my perspective, the key to this relationship is realizing the purpose of claim and working towards getting problems resolved equitably. Your State Insurance Commissioner has documentation on the record of Auto Insurance Company complaints by their clients. Prior to signing up with Insurance Company, visit your State Insurance Commissioner's website and review comments. Doing research on a company whom in the future premiums may be paid for years or decades is worth taking the time to evaluate how they will treat you when really needing their help. 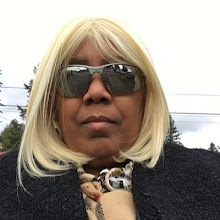 There is nothing worse, in my opinion, than expecting assistance from an Auto Insurance Company, only to find out later that bills will not be paid, and you will end up spending years fighting them in court trying to get issues resolved. In most cases, car accidents are difficult enough to deal with, without having to fight with an Insurance Company. Again, it is important to take the day researching carriers. It may alleviate a lot of suffering at a time when you need it the least. From my perspective, first impression can say a lot. Sometimes, when injured and not feeling well, sometime one wants to second guess ones opinion. However, from my experience, first impressions are rarely wrong. Trust your instinct and your impressions. Use the written communications to validate or help in evaluate where the relationship with an Adjuster may be headed. Remember, this relationship should be built upon the facts of your claim only. From my point of view, this is not the time to develop new friendships. In my opinion, these are professional relationships built to resolve a problem. In order for an adjuster to help resolved your problems, they must understand them, and be able to document in the way required by their company. Therefore, when you provide the adjuster with a clear understanding of your circumstances, give the facts only, and where you want to be at the end of this claim, demonstrate request is reasonable, aligned with your policy. It will be easier to determine whether their goals and yours are moving in the same direction. If you find more and more conflict as each conversation transpires with an Adjuster, in my opinion, perhaps it is time to Lawyer up. Most "good faith" Insurance Companies would rather work with their clients and reduce their cost, yet, those companies preferring not to pay out claims will delay in helping you resolve issues which may actually bring additional hardships into life because of false expectations of claim resolution. So the sooner you realize intent of the Adjuster, the sooner you can become your best advocate, and do what is in your best interest. Yes, an accident experience can be difficult especially when not feeling well. But do not let injuries be used as an advantage to a ‘bad faith’ Auto Insurance Company. The most important thing in this equation is to take care of you. Always keep this at the forefront of your mind and actions. Be professional in dealings with an Adjuster regardless of their actions. Document everything that transpires between you. Make sure to keep it in a form that is easy to retrieve, and bring it back up to them is they don't provide requested assistance. One of the most important things to do is be willing to address concerns with Adjuster. Not shying away from the most difficult issues of claim, can allow for clearing up misunderstanding, or finding out sooner than later a stance an auto insurance company is taking on your claim. One does not need to confront, yet, ask questions factually and request answers to concerns. If not getting answers to questions, or assistance to resolve problems per Insurance Policy, it is important to seek outside help. First, you can try to talk with the supervisor of the Adjuster. In most cases, this resolves issues. Different communication styles can sometimes prevent claims from moving forward. Just the realization you are not willing to let the issue stand can begin things moving again. When you have expectations regarding your claim from the beginning, and they are reasonable, it becomes easier to know what expectations to be at the end of the claim. Sometimes this is a straight path from start to end. Sometimes, it is not so straight, and decisive actions must be taken. Regardless of the route one takes, having a plan makes the process move forward. The more knowledge and experience about Auto Insurance Claim processing, the easier it will seeing what lies ahead. Being patient can be difficult when in world of pain. Therefore, evaluate where you are, what you can do, and how you want to deal with this process. Outside help can make a difference, so if feeling like you need more information or help, do not be afraid to reach out. There can be a lot of twists and turns, and a little help can go a long way sometimes. Just make sure you are making request to organizations that typically do not work closely with carriers. Otherwise, this may make the journey longer than shorter, from my experience. Make sure to review all available options on how to proceed by reviewing your policy. Most times, accident victims have not spent the time learning about the policies. Although, in my opinion, the person writing the policy typically has the upper hand, it is still important to know its content. If ending up spending too much time fighting with Auto Insurance Company rather than getting better, you might want to consider taking care of yourself first, and wait for a better time to address concerns. Finances usually play a role in this decision, yet, health is just as important, it is indeed a hard balance equation. Choosing whether to write, call, or use Auto Insurance Company online website depends not only on how comfortable you are with them, but also their response time and your need to get an issue resolve. From my perspective, different Insurance Companies have different preferences. Again, document everything. Everything they do or don’t, everything that is said, along with the end results of each action. Developing a time line of conversations and actions help see what has been done, and the direction claim is going. Not only can you see progress but also how they are helping you get there. Select Celebrity For Car Accident Round Table. Take Survey Now!